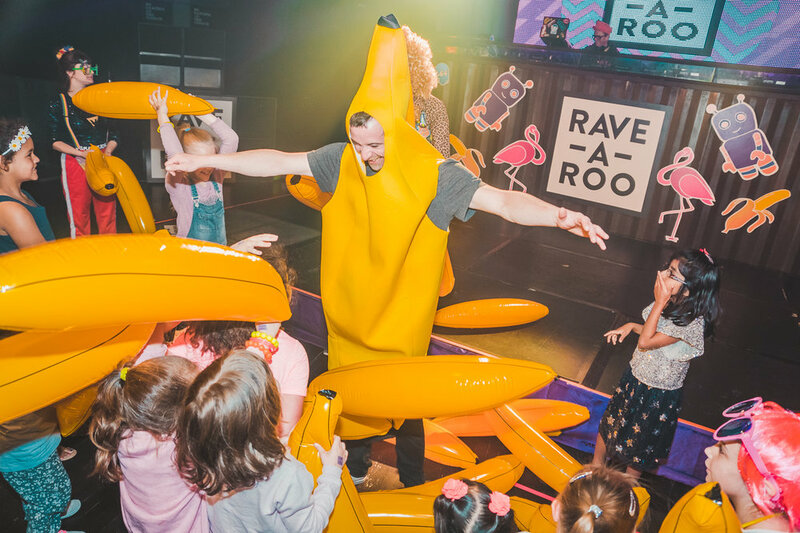 Rave-A-Roo is a day time, mash-up of festival fun for the whole family. 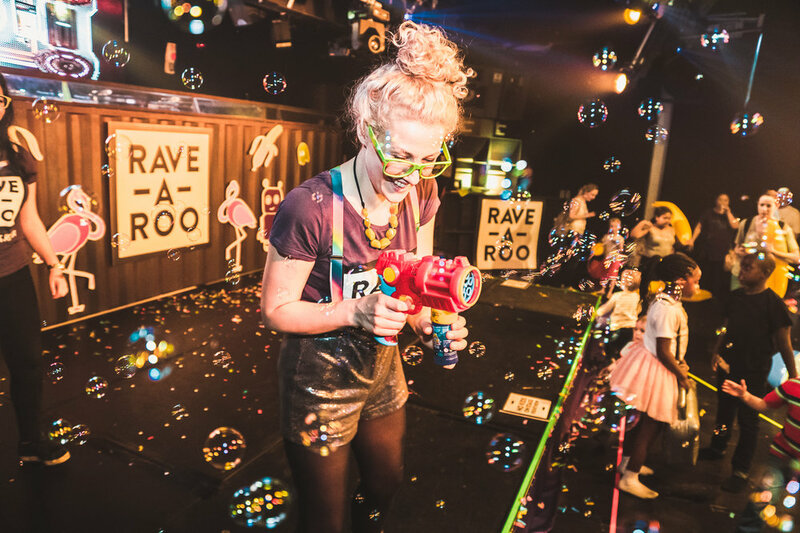 It’s the ultimate event for kids, with a line-up of big names, top DJs, a Funky Soft Play room, Disco Ball Games, live stage performances, hosts, confetti mayhem, neon craft, Glow Chill Room, Play Glow toys, UV tattoo station and the chance for little ones and their adults to take to the dancefloor with Rave-A-Roo resident artists Go!Go!Go! Electro as seen on Nick Jr. KIDS. can be themselves. dance. let loose. create. watch. chill. We’ll bring all the WOW that they need. PLAY. hard in a safe environment. There’s games for all. tons of our PlayGlow toys. then hit the Chill Time area. RAVE. party. dance off. however you want to do it, do it as a family. REPEAT. have it. share it. 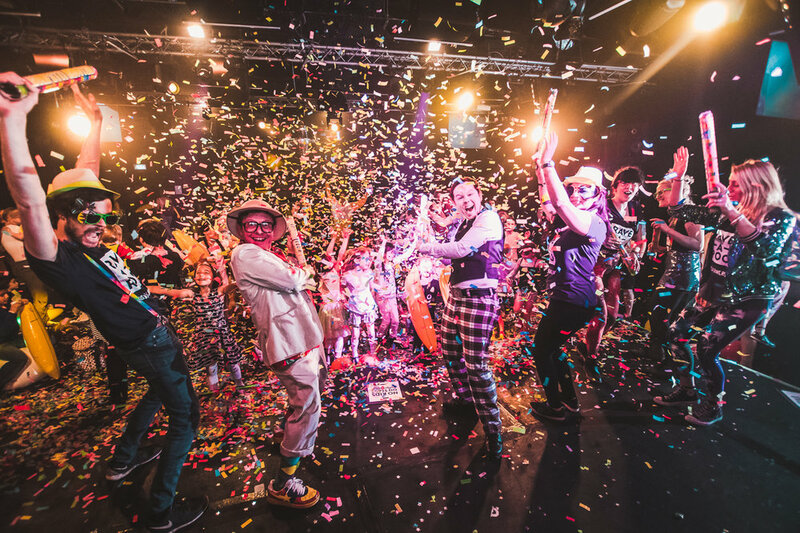 It’s for all ages. and all of us. "RAVE ON, IT'S A CRAZY FEELING"